Learn to Make Cold Coffee Recipe – 2 Ways with a step-by-step video tutorial. 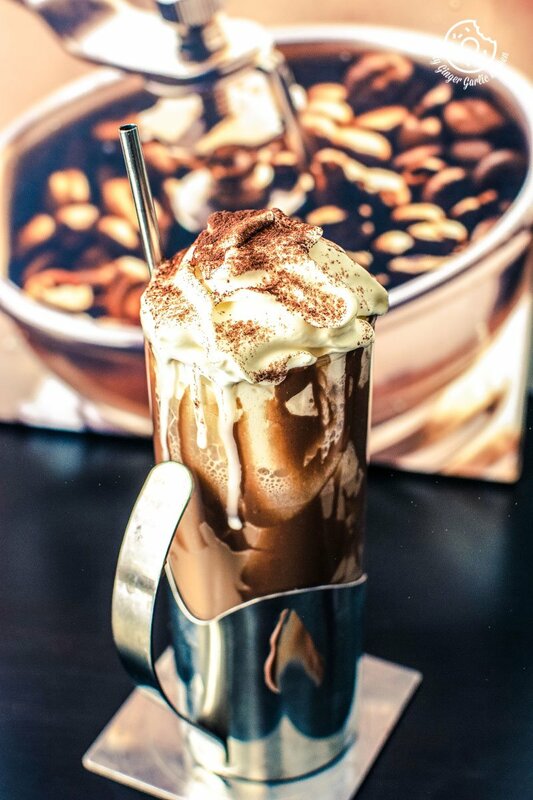 Pouring cold coffee into a tall glass topped with some ice cream is a sure way to chill-out on a scorching summer day. I can tell you that being your own barista is quite an amusement. All you need to do is put on an apron, and try your hand at performing this simplest yet most delicious cold coffee with ice cream. And once you’ll learn how to go about it, I promise that there will be no more morning rushing to your nearby cafe for that exotic and exclusive taste. Why I decided to make Cold Coffee, and why you should too? It’s summer already and thus, I wanted everything cold. I hope that’s true for most of us. That’ why this cold coffee is my goto recipe at such times. Also, for the brave ones amongst us, to whom hot summer is not a bother, and still if they are craving for a delight which is refreshingly indulgent sweet, so full of coffee, full of ice cream, and full of chocolate, here are your prayers answered. Here’s your savior – I have something very divine for you and I bet you will love this amazing cold delicacy. Do you want to have dessert and cold coffee together? You sure can! 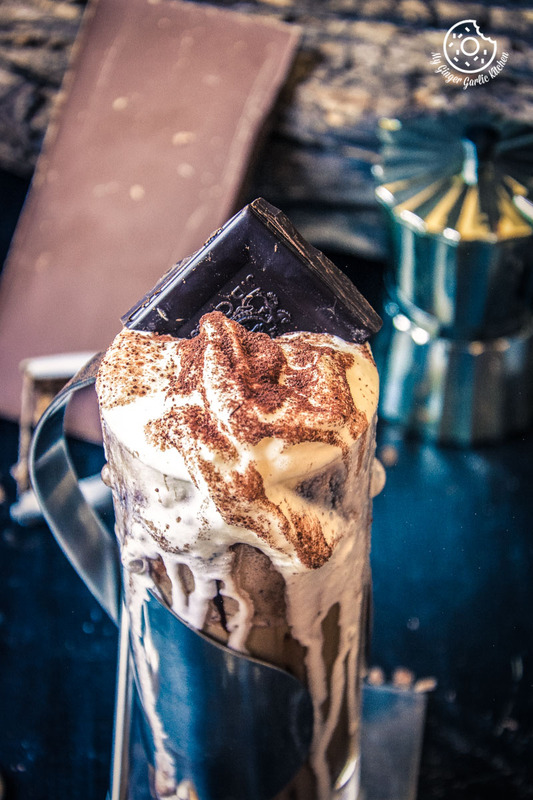 I know it is a real thing, that sometimes when a caffeine and dessert cravings strike at the same time, all we want is that coffee with ice cream, or coffee with chocolate. Believe it or not, there’s something very special about the combination of bitter coffee and rich ice cream. It is that perfect creamy sweetness which gets us super-excited. What is there to love about Cold Coffee? Why is this cold coffee so close to my heart? I know all this because I grew up watching this, almost every day. Many times, I have seen people forcing her to try tea even for once, telling how blissful drink the tea is. But, there is something in tea which repels her away. Is it difficult to make a good cold coffee at home? I wouldn’t say that making cold coffee is a complicated thing. Anyone can make it. However, I know that there are many different ways to make cold coffee or iced coffee. You can choose to make it any way you like. Do I need fancy appliances to make cafe style cold coffee at home? No. 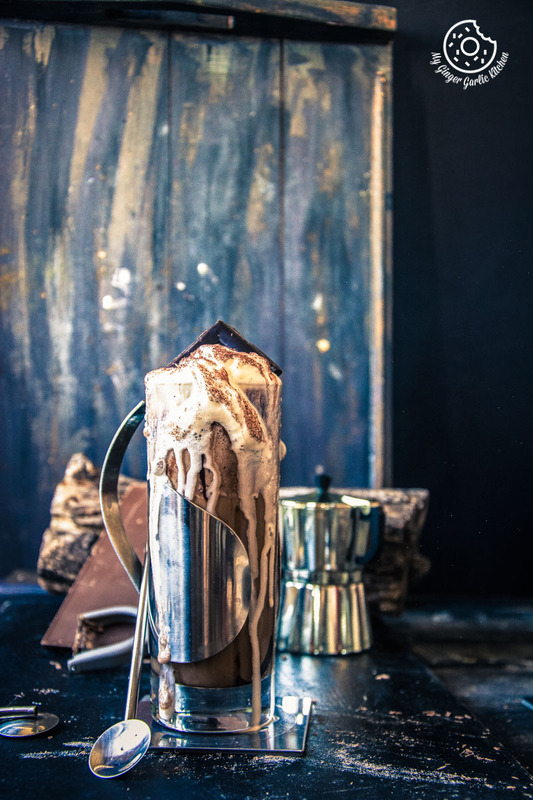 The good thing is that you don’t need any fancy types of equipment or ingredients for making this cold coffee at home. A food processor or even a hand blender would work. Just a little blending of ingredients and you’ll end up with a smooth, rich, and creamy cold coffee. What is the best season to drink cold coffee? Are there many different ways to enjoy a cold coffee? Yes, there are definitely many ways. Some people could merely pour chilled brewed coffee into a glass full of ice and call it a day. However, some find this simple method extremely imperfect. They find it too simple and bland. Some people like the overall strength of the coffee when the flavor is diluted. While others enjoy the strong particular flavors residing within the coffee. For some, the iced coffee should be as icy as it could be. And for others, a glass of iced coffee should not be very cold, they love it when the ice cubes are half-melted and still floating around. Do you want to make your cold coffee drinking experience a memory to cherish? Try it with ice cream! Cold Coffee with ice cream has always been my favorite drink to order in cafes since my teenage. It was the time when I finally started to have my coffee every once in a while. What ice cream is best for making cold coffee? I have added simplest homemade vanilla ice cream for this cold coffee recipe, but you can also add chocolate ice cream or even coffee ice cream for that more intense coffee flavor. Just make sure that the added ice-cream compliments the native coffee flavor. Can this cold coffee get any richer? Yes, beyond any doubt. To make the cold coffee creamier and thicker you could add some fresh cream to it. However, I haven’t added any cream because I already added ice cream. But if you want you can definitely add cream. Below are two simple recipes of cold coffee that you can easily prepare at home and relish with your loved ones. 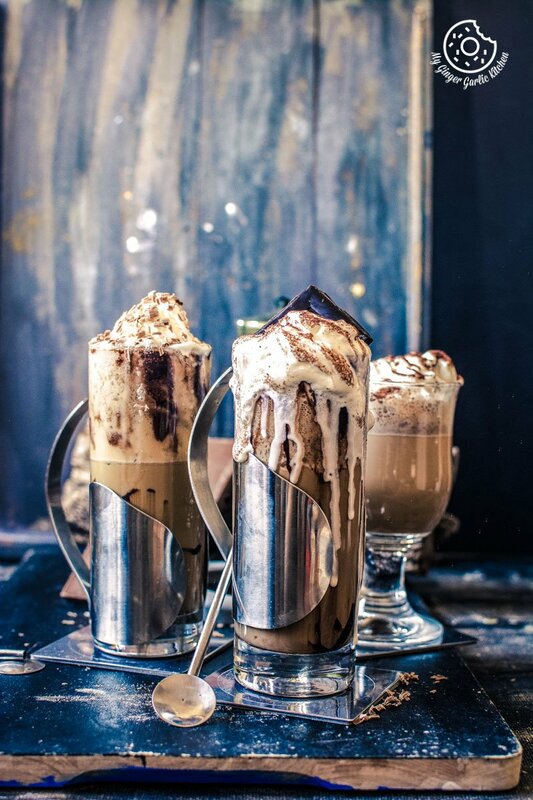 To make this Basic Cold Coffee with ice cream, you need some easily available ingredients such as milk, sugar or honey, scoops of vanilla ice cream, instant coffee powder or brewed coffee, and some chocolate shavings for toppings. 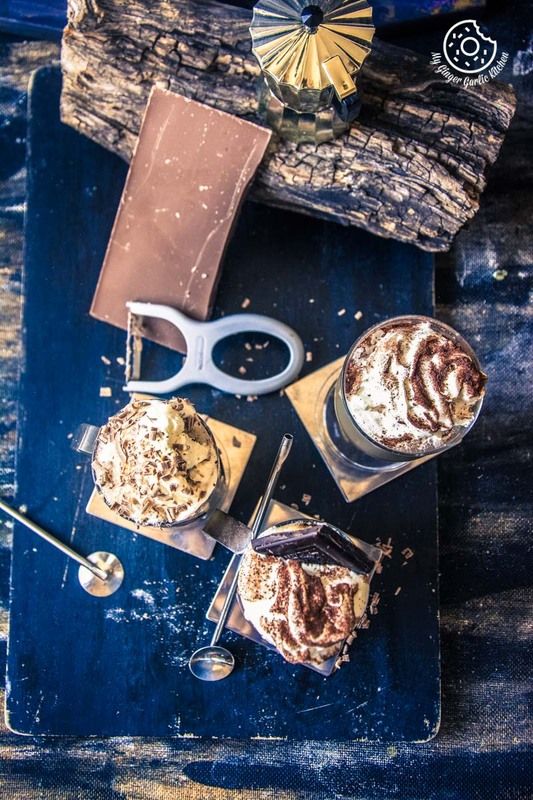 If you are like me who has a thing for ice creams and chocolates, then you would definitely love this delightful cold coffee topped with ice cream and chocolate shavings. 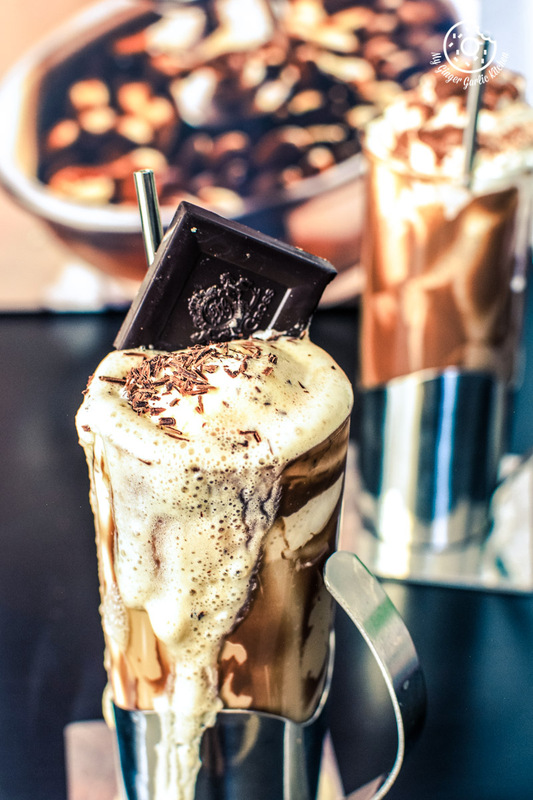 To make this Choco Cold Coffee you need milk, sugar or honey scoops of vanilla ice cream, instant coffee powder or brewed coffee, drinking chocolate, whipping cream and cocoa powder for toppings. 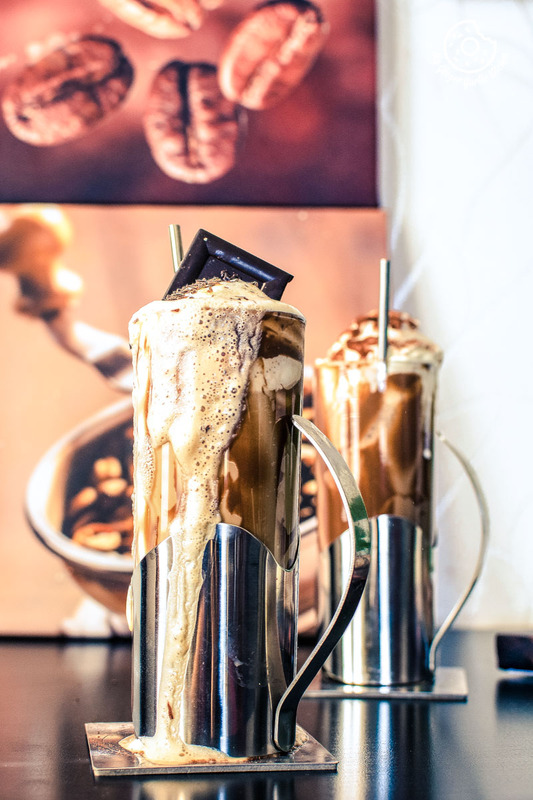 To spruce up your choco cold coffee, you can also add some chocolate sauce or chocolate ganache. What kind of additional flavorings (or syrups) can be added to this coffee? You can add any of your favorite syrups to this basic coffee. My favorite essences are vanilla, caramel, toffee, and orange. You can also add some spices like cinnamon and cardamom. Is it easy to make it suitable for my palate preference? This is my version of plain simple cold coffee. But you can effortlessly twist this coffee and make it desirable according to your taste buds. You can also add some crushed ice to the coffee while blending. You can even add a little booze. The most incredible thing is that you can play with it and make it according to your palate liking. At the end, what ultimately matters is your taste and experience. So, let’s get on with the recipe. 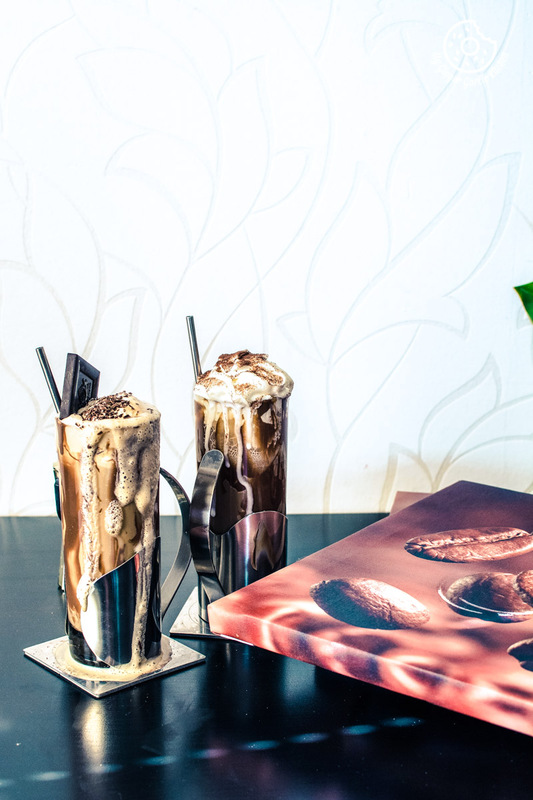 Pouring cold coffee into a tall glass topped with some ice cream is a sure way to chill-out on a scorching summer day. I can tell you that being your own barista is quite an amusement. All you need to do is put on an apron, and try your hand at performing this simplest yet most delicious cold coffee with ice cream. 1. Pour the chilled milk, sugar, instant coffee powder, vanilla ice cream into a blender. 2. Blitz until it is the consistency of a smoothie. 3. Dress up a tall glass with chocolate syrup or ganache. 4. Pour half of the coffee straight into a tall glass. 5. Top with a scoop of ice cream and chocolate shavings. 1. Add drinking chocolate to remained cold coffee, and blitz for 30 seconds. 2. Dress up a tall glass with chocolate syrup or ganache. 3. Pour half of the coffee straight into a tall glass. 4. Top with whipping cream. 5. Sprinkle some cocoa powder and add a chocolate to finish.